l All types of ceramic, porcelain, terracotta, slate, natural stone, granite, and marble, etc. l Stronger adhesive force compared with Portland cement. 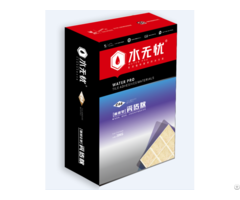 l Adhere tile in a thin layer, reduce the burden of wall Mixing l Add C1TE Tile Adhesive to a bucket of clean water mixing constantly with electric mixer until a thick creamy consistency is achieved. 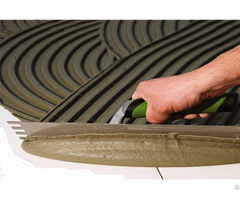 l The mixing ratio is 25kg of C1TE Tile Adhesive to approximately 7.5 liters of water. Posted By: Fuzhou Elvee New Materials Co.,Ltd. Business Description: Fuzhou Elvee New Materials Co.,Ltd (SH:204948) was founded in 2002, committing itself to the research on waterproof solution systems, has been acknowledged as the leading company on waterproof materials R&D, manufacturing, sales and construction services. 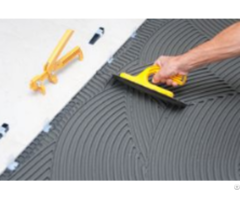 The products refer to waterproof coatings, sealant materials, rigid waterproof and leakage blocking agents, putty powers, joint sealants, tile grout, tile adhesive, etc.